One of the foremost open scientific questions is to understand the structure and function of the human brain. This is important not only for understanding normal growth and development, but also for early detection of "breaks" in normal functioning and onset of neuro-developmental or neurodegenerative diseases. Magnetic Resonance imaging (MRI) allows the noninvasive acquisition of detailed images of anatomical structure and function. To quantify various aspects of anatomical shape and functional state from these images, computational codes for image segmentation, registration and shape analysis are needed. 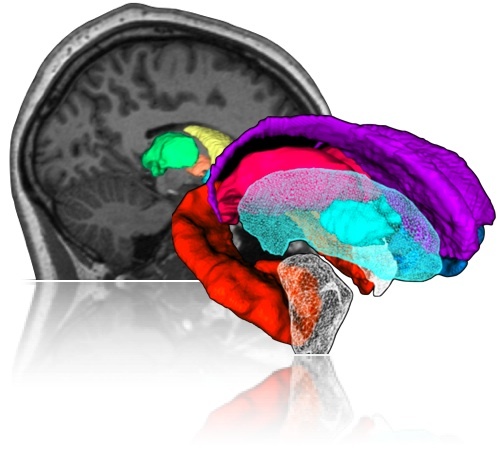 to automatically, and reliably, process a large number of brain images. We are particularly interested in automated methods with stringent quality control at every step of the way through detailed visualizations and statistical checks. 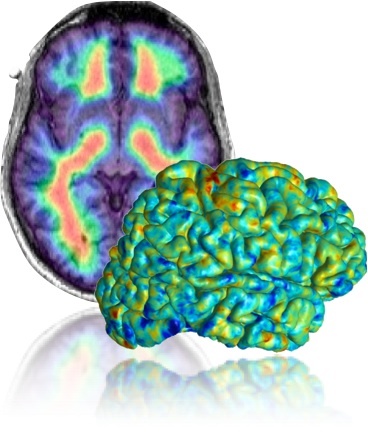 Automated and reliable methods allow us to target large brain image databases using high-performance computing, allowing for greater sensitivity to detect and classify normal and abnormal variation. Please feel free to browse around and look at our computational pipelines. We welcome your input and suggestions, so please feel free to contact us.